Place apricots and lemon juice in food processor. Chop until a paste is formed. 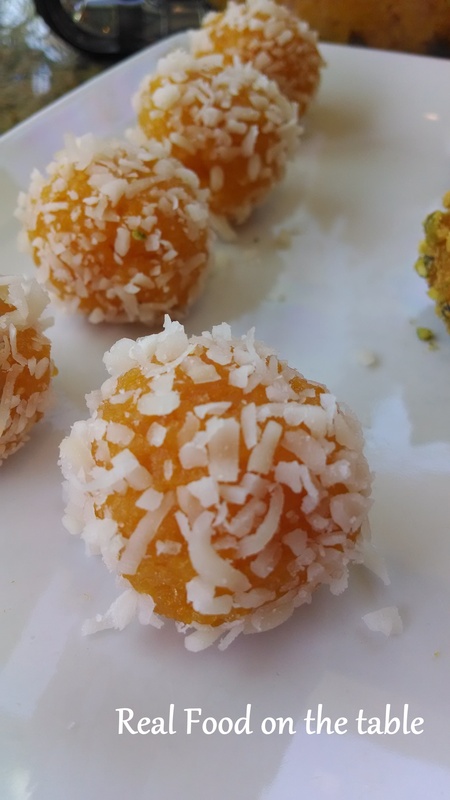 Roll into bite-sized balls, and then roll in either the crushed pistachios or the coconut.